2019/2020 VoTech student recruitment starts the end of January. 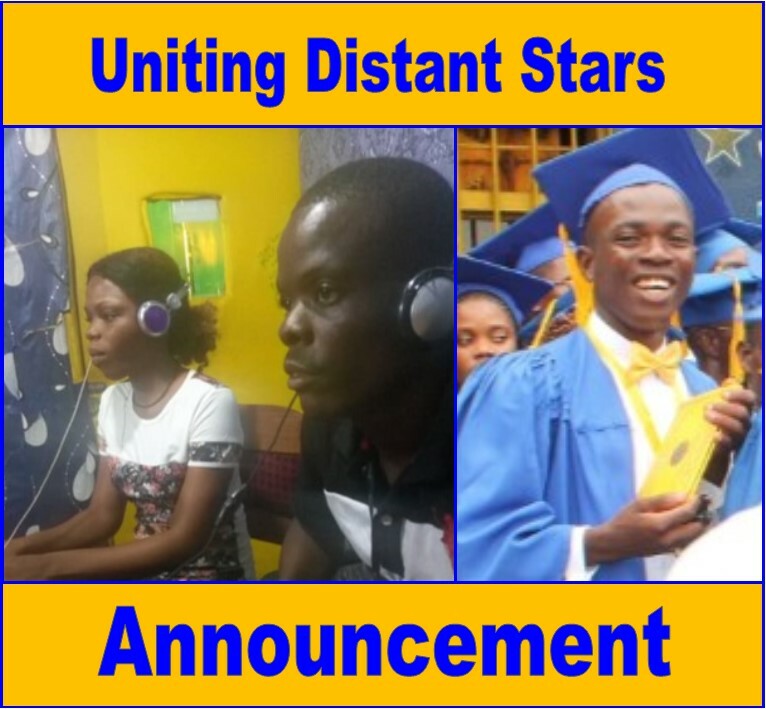 Stay tuned to the radio airwaves in Liberia for more information. 2018/2019 VoTech classes end February 28. 2019/2020 VoTech classes start around the second week of March. 2018/2019 Commencement Ceremony on March 31. If you are visiting Liberia at this time, please stop in and celebrate with our amazing graduates. Please expect more updates in the next couple months as we prepare our current students for the transition after graduation and welcome our newest students. Before we go, this short video shows the front of our building as the permaculture training students return from their field assignments. We hope you will stop and visit our center in the near future. Thank you! This entry was posted in Africa, education, Liberia, Student Recruitment., Uniting Distant Stars, vocational training, youth development, Youth Empowerment and tagged Africa, Become a Classroom Hero, education, Innovation, Liberia, NGO, Skills Training, Thank You, trade school, Uniting Distant Stars, Vocational Training, Youth Development, Youth Empowerment. Bookmark the permalink.